Changing seasons, migrants, and unrest in Jerusalem in this week’s best photos. 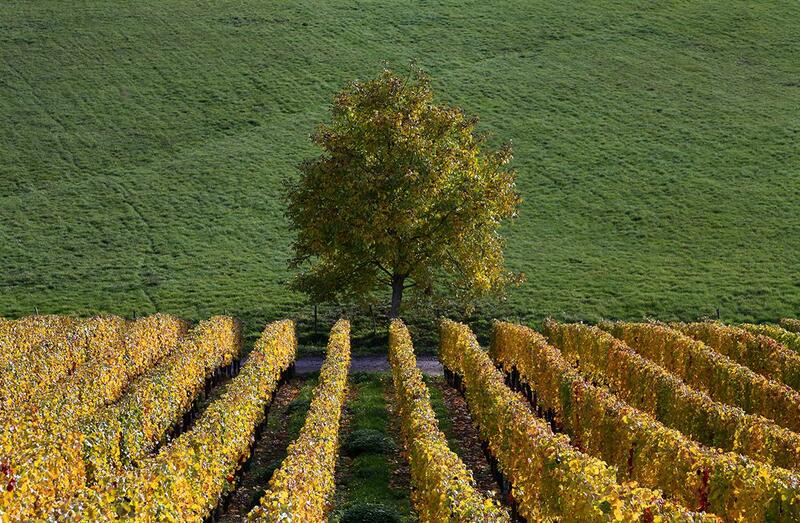 Late autumn colors in vineyards mark a change in the season in Soultz, France, on Oct. 22, 2015. 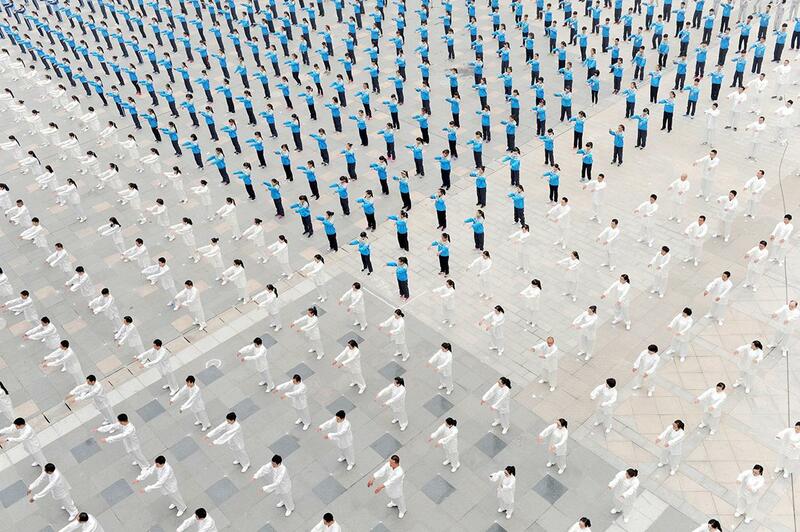 People practice tai chi in Qinyang, China, on Oct. 18, 2015. 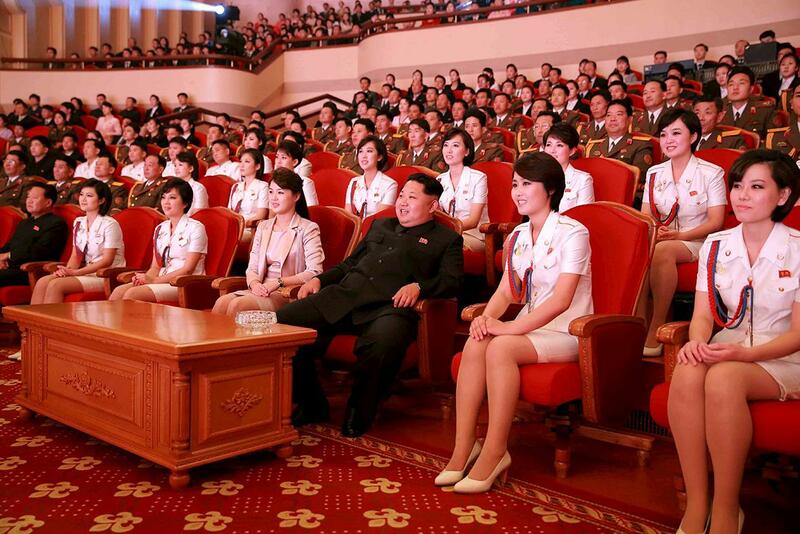 North Korean leader Kim Jong-un and wife, Ri Sol-ju (fourth left), enjoy an art performance given by the Chongbong Band to mark the 70th anniversary of the founding of the Workers’ Party of Korea in this undated photo released by North Korea’s Korean Central News Agency in Pyongyang on Oct. 19, 2015. 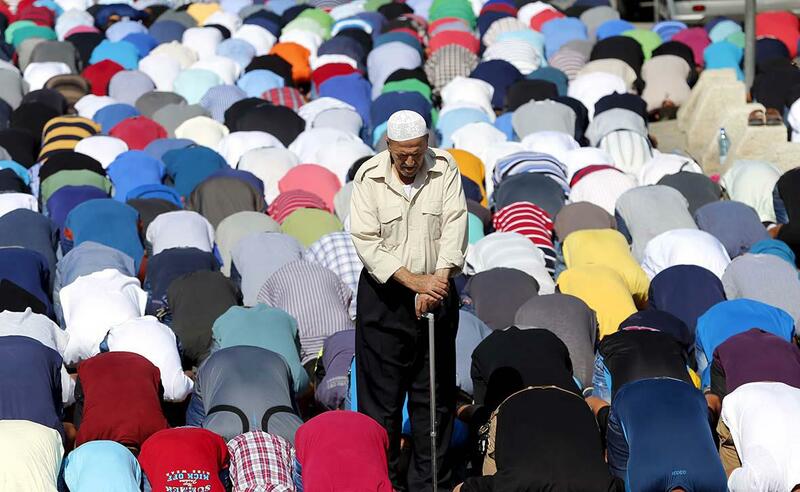 Palestinian men take part in Friday prayers in the Arab east Jerusalem neighborhood of Ras al-Amud, outside the Old City on Oct. 16, 2015. Palestinians set fire to a Jewish shrine in the West Bank on Friday as Hamas called for a day of rage against Israel, and two weeks of turmoil in the region showed few signs of abating. An Israeli police spokesman said on Friday that it will only permit Palestinian men over age 40 to enter Jerusalem’s Old City. 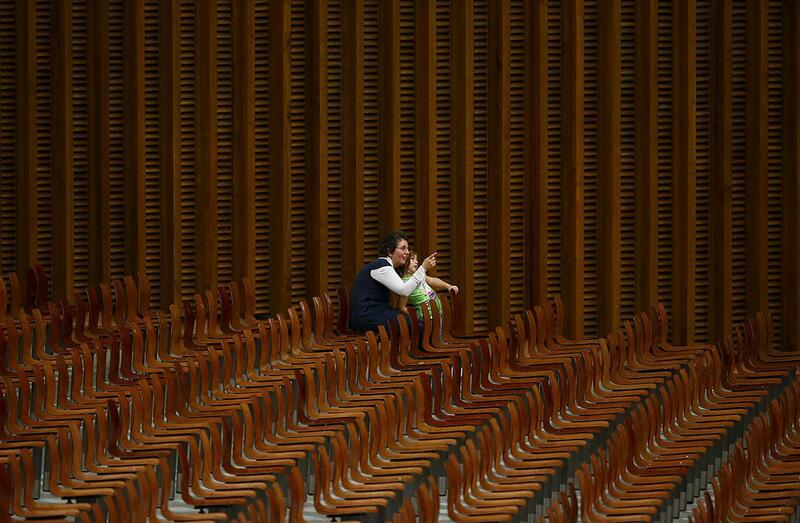 A woman and a child attend Pope Francis’ special audience to mark the 50th anniversary of Synod of Bishops in Paul VI Hall at the Vatican on Oct. 17, 2015. 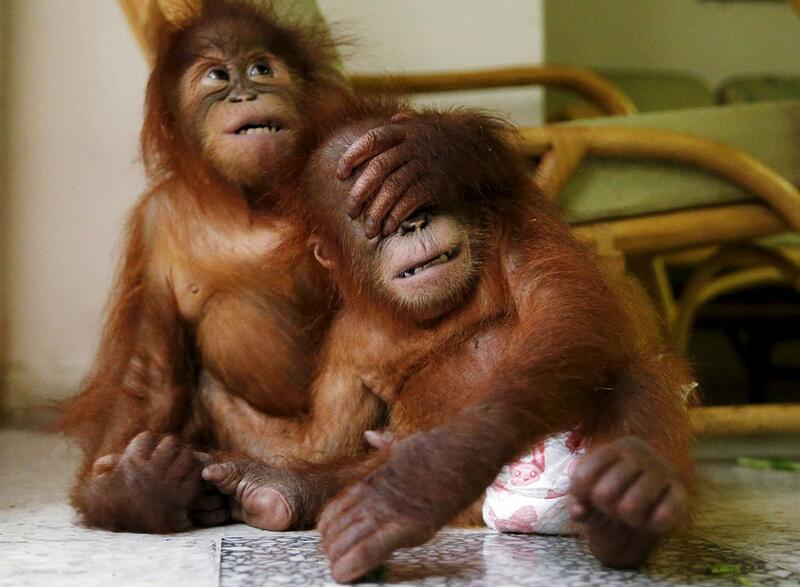 Two baby Sumatran orangutans play at the wildlife department in Kuala Lumpur, Malayasia, on Oct. 19, 2015. The Malaysian wildlife department seized the pair, found in duffel bags, in July from traffickers who were attempting to sell them to buyers in Malaysia. According to local media, the orangutans will be returned to Medan, Indonesia. The illegal wildlife trade is estimated to be $8 billion a year worldwide, according to TRAFFIC, a wildlife trade monitoring network. 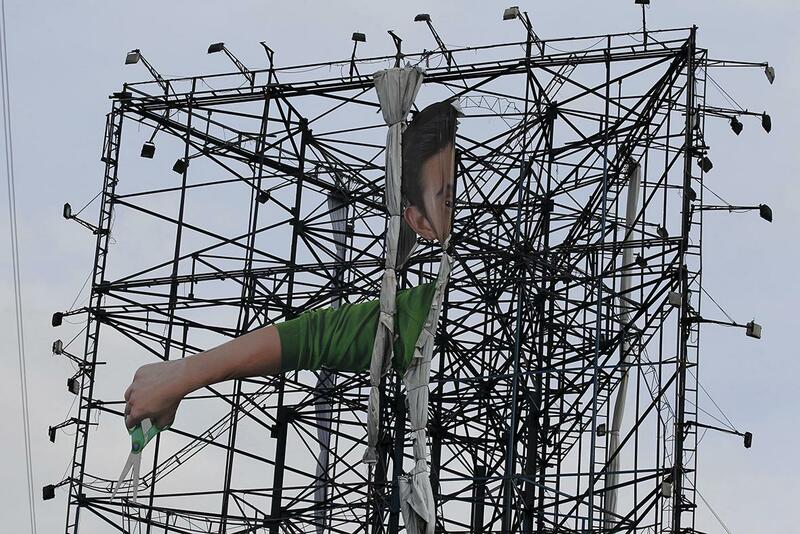 A billboard was ripped apart by strong winds from Typhoon Koppu in Manila, Philippines, on Oct. 19, 2015. The typhoon killed at least nine people as trees, power lines, and walls were toppled and flood waters spread far from riverbeds. 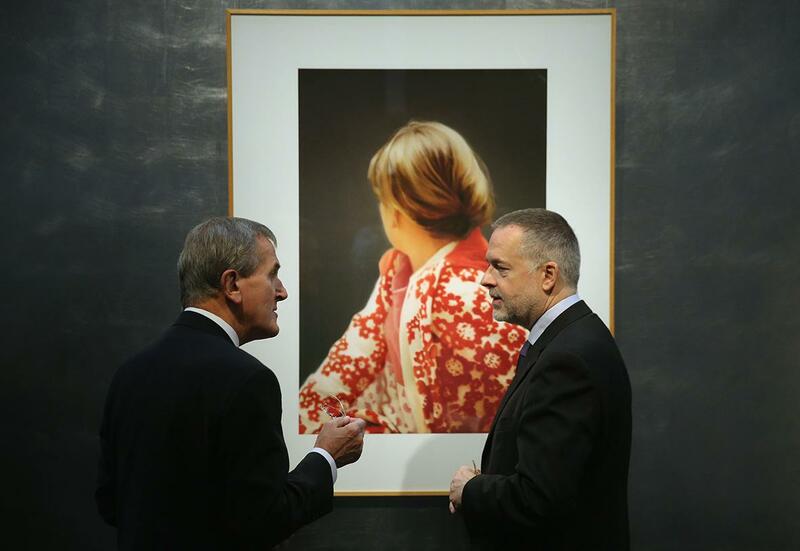 Neil MacGregor, left, director of the British Museum, and Hartwig Fischer, general director of the Dresden State Art Collections, chat while looking at Gerhard Richter’s work Betty (Edition 75) at the Residenzschloss Dresden on Oct. 19, 2015, in Dresden, Germany. MacGregor will become head of the Humboldt Forum in Berlin, while Fischer will replace MacGregor as director at the British Museum. 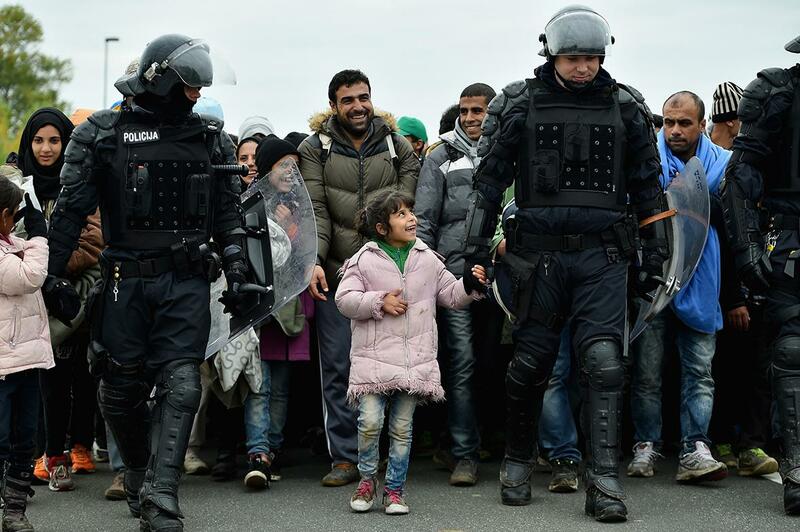 Migrants are escorted by police to a holding camp on Oct. 22, 2015, in Dobova, Slovenia. Thousands of migrants marched across the border from Croatia into Slovenia as authorities intensify their efforts to attempt to cope with a human tide unseen in Europe since World War II. 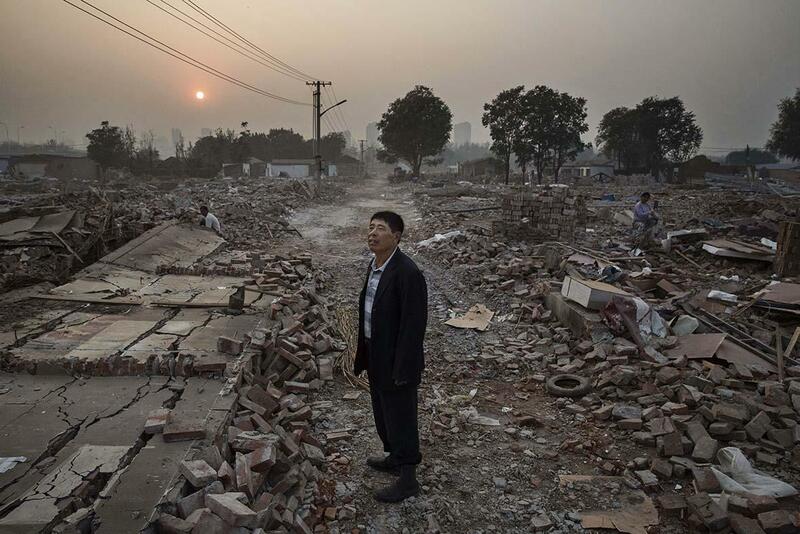 A villager walks among demolished houses on Oct. 16, 2015, in Gucheng Village, Tongzhou District, China. Beijing’s municipal offices will be moved from the city center to outlying areas as part of an ambitious government blueprint to create an urban megacity in northern China. The zone will eventually connect Beijing with the nearby port city of Tianjin and encompass a population of 130 million people. China’s decades-long development boom has seen villages demolished or moved to allow for new buildings and infrastructure. While villagers often receive compensation for the loss of their homes and land, some will dispute and hold out in a bid for better terms. 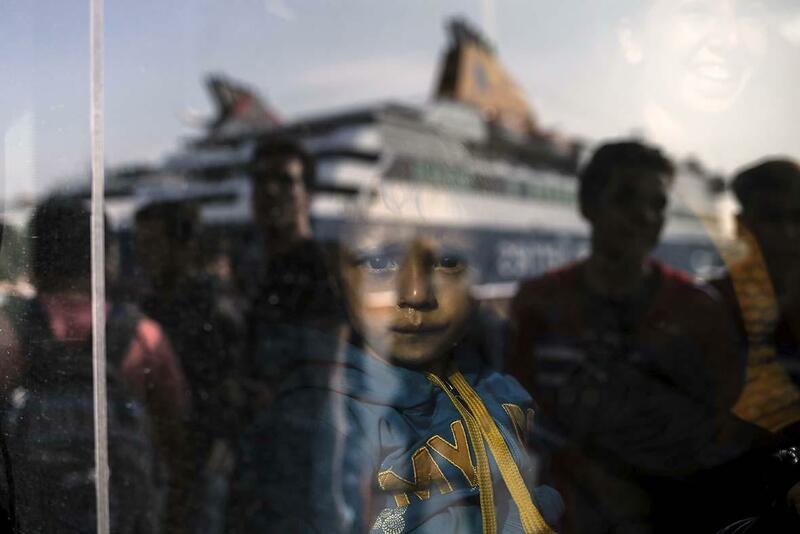 A migrant boy looks through a bus window as refugees and migrants arrive aboard the passenger ferry Blue Star Patmos from the island of Lesbos at the port of Piraeus, near Athens, Greece, on Oct. 19, 2015. 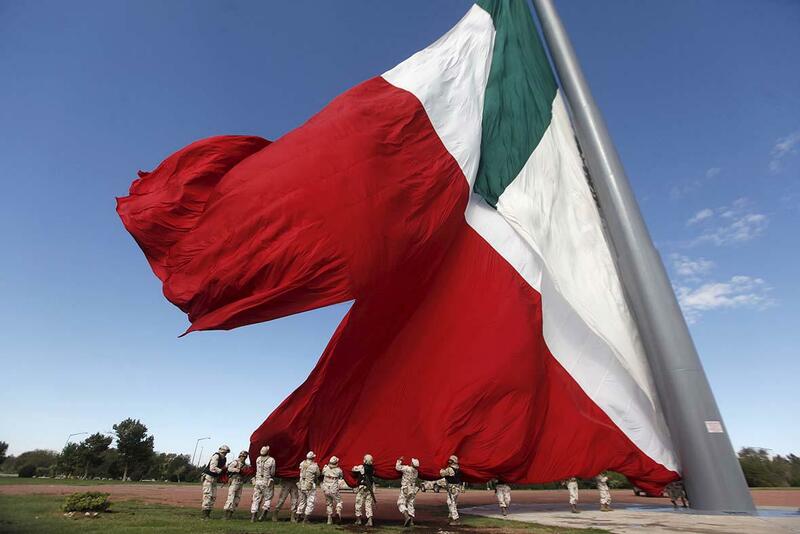 Soldiers remove a Mexican flag damaged by the weather conditions in Ciudad Juarez, Mexico, on Oct. 22, 2015.